Tomcats often have nicks in their ears from fighting. If you’ve heard unearthly blood-curdling screams and howls of animals fighting at night, chances are you have been listening to tomcats. A tomcat is a sexually mature male cat that has not been desexed and is prone to fighting over females and territory. A tomcat has a tendency to roam in search of female cats in heat. As he moves into the territory of other males, he will fight them. Often the fighting is purely verbal, with both cats broadcasting terrible threats, but when real fighting ensues a tom can get wounds that become infected and often develop abscesses that can be life-threatening without treatment. Male cats also mark their territory by spraying urine. This plus the night-time howling makes them unpopular with neighbors. Tomcats tend to have heavier more muscular bodies and thicker necks than other cats. They also have large faces with jowls that start developing from around 6 months of age. This does not occur in cats that are neutered. They often have an unkempt appearance as they tend not to groom much. 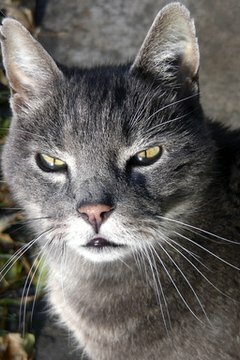 Older toms will usually have battle scars, which are often marks on his nose or notches missing from his ears. Why is He Called a Tomcat? The word “tomcat” originates from a book called "The Life and Adventures of a Cat" that was published in 1760. The book was very popular and had a promiscuous feline character called Tom the Cat who wooed many females. People began calling male cats “Toms,” and the word came into common usage, along with the slang word "tomcatting," which refers to promiscuous behavior. Prior to this, male cats were called rams. Do Toms Make Good Pets? Tomcats like to have a home to eat and sleep in and will be happy to sit with an owner, but the owner is never going to be the most important element of his life. If he detects a female in heat he will be off roaming, and he spends lots of time defending his territory. Unless you need a male cat for breeding it is best to neuter males -- if they go outside they tend to fight and get injured, costing time and money at the vet's. 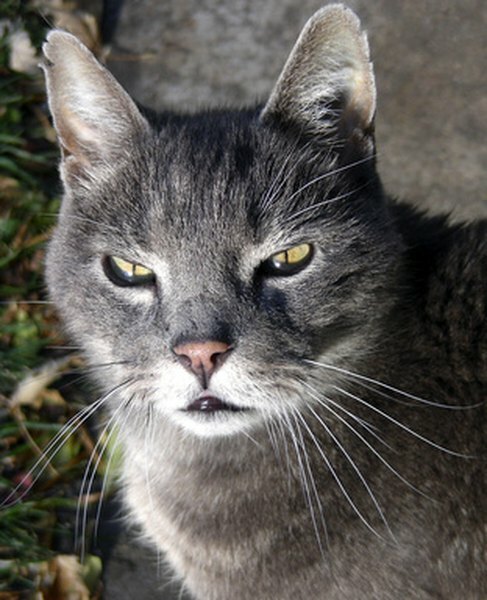 PetMeds: What is a “Tom” Cat? Metaphorical Platypus: Why Are Male Cats Called Toms? How Long After Cats Are Neutered Are the Hormones Gone? What Kinds of Cats Are Dark Seal Brown? Do Male Cats Grow Bigger?